Building a SaaS product means focusing on your customers. You want to build and operate the product they are willing to pay for. To do it right, you need as much data from the customer as possible in order to prevent churn. Analytics and usage data are helpful, but you need a better way to gauge customer sentiment. Do they like the product? In what ways can it better? Would they recommend it someone else? Sometimes the best way to determine how someone is feeling is to ask them. Now, you can’t ask every customer about their experience. If you’re a low-touch SaaS with thousands of customers, you would need an expensive team making phone calls. But you can still capture their feedback with customer surveys. Customer surveys turn qualitative data into quantitative data so you can evaluate customer sentiment at scale. They also help you identify complaints if customers aren’t willing to speak up on their own. You can use them in basically three places. Embedded on a web page. You would send customers a link to this page. Email-based. You would send an automated email based on some trigger with a single question. Clicking a response would record their answer on your end. On-site or in-app. A pop-up, overlay or slide-out widget would appear as the user uses the product. These collect the highest response rates. Once you decide to create a customer survey, you need some tips to create one. Customer surveys turn qualitative data into quantitative data so you can evaluate sentiment at scale. Download our list of the best survey tools. When you ask a customer to fill out a survey, you’re asking them to give you their time and energy. If they look at a 30 question form, they may decide they don’t want to spend 15 minutes of their life helping you out. Carve your surveys down to the bare essentials. Keep your questions clear and concise. Eliminate extra phrasing and words. Simple changes like shortening “What’s your age?” to “Age” can improve the likelihood that more people will fill it out. Cut out any questions that don’t serve your purpose. For instance, if the goal of your survey is to determine if your customers would recommend your product to a friend, don’t ask them how much they like a particular feature. If it’s not relevant, don’t ask. That includes personal information like names and email addresses. Users can feel bombarded, rushed and overwhelmed by a full page of questions. To the user, it becomes more of an interrogation than a survey. Make their experience more comfortable by displaying one question at a time. This cuts out the distractions so they can focus on giving quality answers. It’s also a clever way to hide the length of your form. People are more likely to continue when the survey if they’ve already committed some time to it. Studies show that survey takers prefer closed-ended questions, probably because they’re easy. Wherever possible, supply answer choices for the user like yes/no, true/false, or agree/disagree. 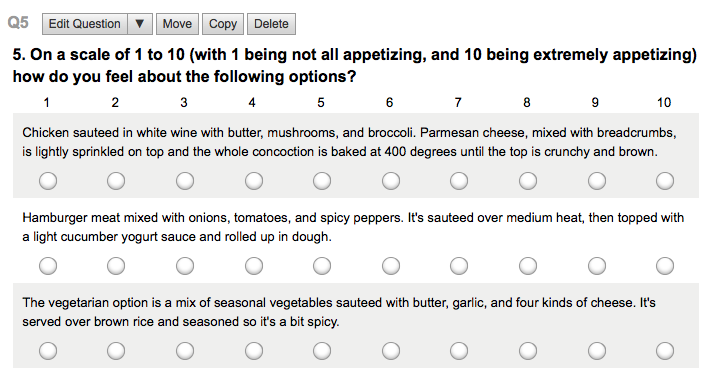 Questions that let you select between one and ten are also closed-ended. They work well at the beginning of your survey because they get the user to jump in quickly and build momentum so they are more likely to finish. Even though people prefer closed-ended questions, you shouldn’t be afraid to ask an open-ended question if it supports your survey’s purpose. Your most insightful feedback will come this way. To entice your users to complete the survey, sometimes you have to pay them. Generally speaking, incentives work well to capture customer feedback. Survey Monkey found that offering an incentive can increase response rate by 5% to 20%. 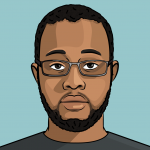 Deciding what you’ll give to your users will depend on your product and your customer. Do they value discounts? Free items? Free content? Upgraded product features? Make sure that whatever you give away is financially bearable so you aren’t burdened by a high response rate. Some survey makers fear that incentivizing survey takers reduces the quality of the results. Wouldn’t some people just click through the survey to reach the prize at the end? There’s plenty of evidence to show that this isn’t the case. If a complete stranger asked you a question, how likely would you be to respond? Even if you bothered, you would rush your response to get out of the situation. People are naturally suspicious of things they aren’t familiar with. If you use a third-party tool to create and/or deliver your survey, make sure to use whatever features are available to incorporate your own branding. If the tool lacks brand features, choose a new tool. You want the user to flow through your survey quickly so they don’t have a poor experience. You also want them to submit quality answers. Neither of those can happen if you use inconsistent rating systems. If you use a 1-5 most-to-least important format, stick to it so your user doesn’t have to readjust to new systems with each question. If you change the rules, there’s a chance the user won’t notice. They could be answering “strongly agree” when they mean something is “least important” because they didn’t adapt to the new format, which invalidates your data. It’s no secret that many people are accessing online tools and apps via mobile devices. Depending on your product, you may notice this is the case for a majority of users. You could limit your surveys to people who use your website on their desktop or laptop, but that wouldn’t give you a representative sample of your customer base. Design your survey around the customer’s needs and preferences. Make it accessible to their devices and usage times. Don’t interrupt them in-app while they’re using your video conferencing tool – that would be disruptive. Email it instead. Wait a minute… That second question doesn’t apply based on the answer to the first question. It’s just not relevant anymore. This situation would be even worse if the second question was required to move on. You would abandon the survey (and rightfully so). 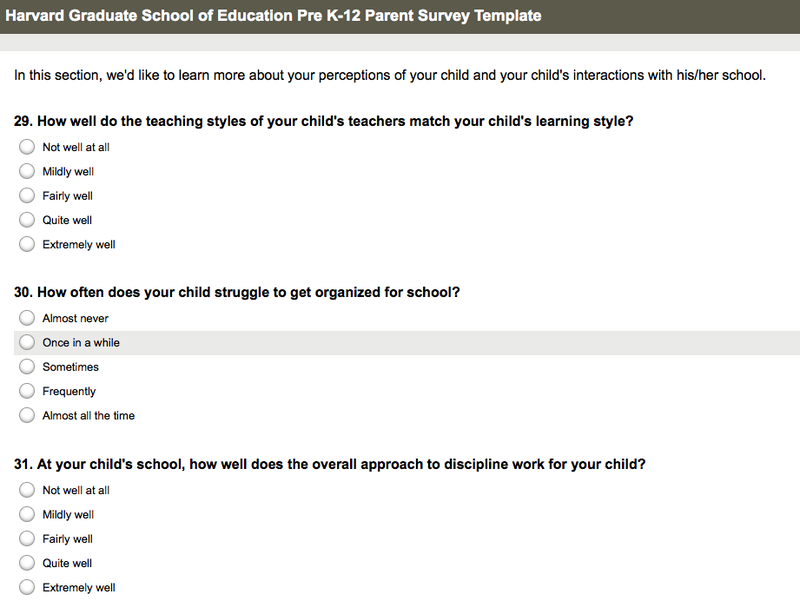 The best survey feature tools allow you to hide or show upcoming questions based on responses to previous questions. Choose a customer survey tool from this list of the best options. Customer surveys are only effective if you make them high-quality. Don’t rush through one in 15 minutes. Once you’ve put it together, share it with a small group of people first and get their feedback before you blast it out to your subscribers or users. Learn which tools are the best for administering customer surveys. Subscribe to receive this extra resource.